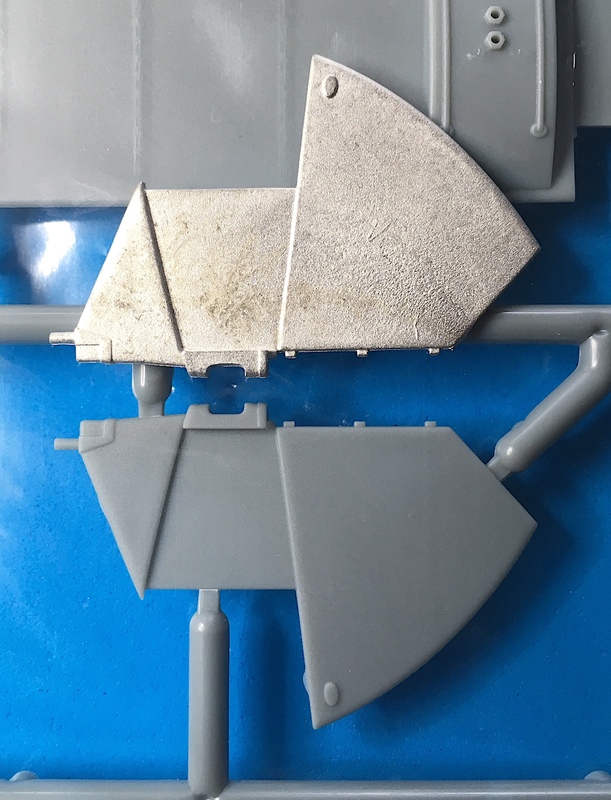 This is the Scale Aircraft Conversions (SAC) white metal landing gear replacement option for the Wingnut Wings 1/32 LVG C.VI kit. If you have built in 1/32 scale you have probably wondered at some point if kit provided plastic landing gear will adequately support the model's weight. These SAC items are primarily intended to address strength concerns but there are two other major advantages to using their white metal landing gear: First, it is possible to very slightly bend the strut pieces and attached wheels into perfect alignment once installed - to fine tune your alignment after gluing. With plastic, "once glued you're screwed" so to speak. 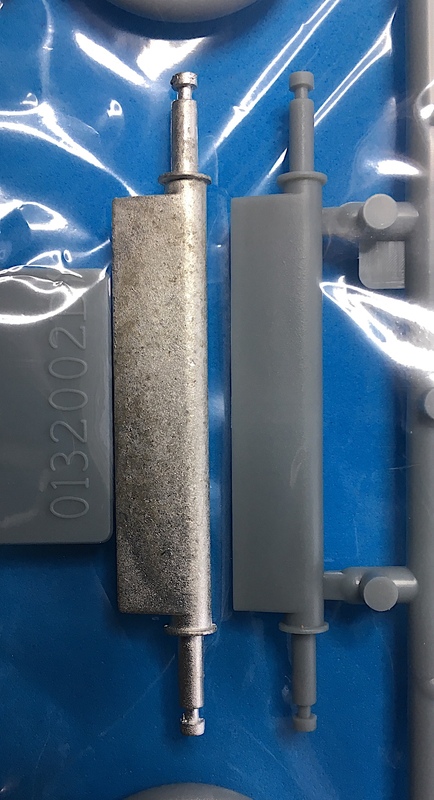 A second advantage of SAC landing gear is that oleos in white metal (although not applicable for this set) can be fine sanded to a very shiny and realistic finish - so no fiddling with bare metal foil or painting is necessary for SAC oleos. These LVG C.VI landing gear pieces match very closely the kit molds. Cleanup is minimal. If you have built some of the other Wingnut Wings kits you know that the landing gear is impressively scaled (i.e. thin) and beautifully cast, thus potentially weak/wobbly. These aftermarket gems provide peace of mind and adjustability without sacrificing detail. My sincere thanks to Scale Aircraft Conversions for providing these items for review via the IPMS USA Reviewer Corps.